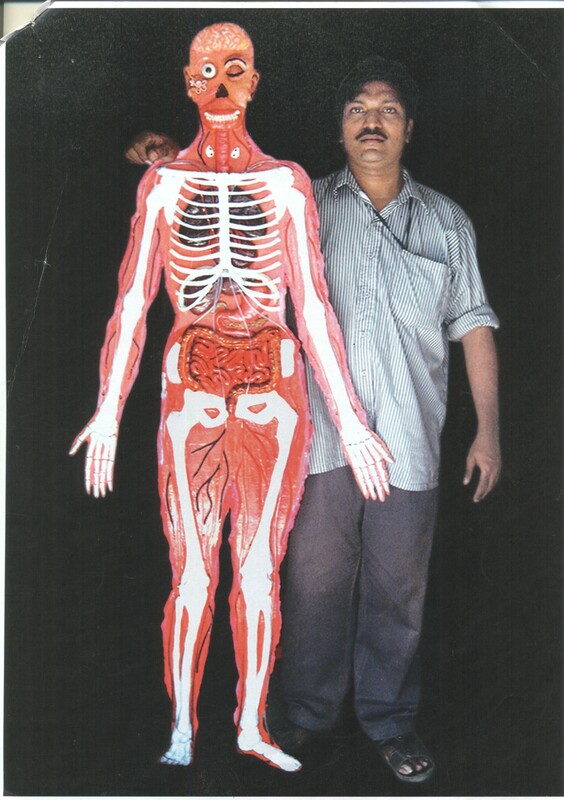 Rajesh Pentakota (born on July 17, 1972) of Visakhapatnam, India, created the tallest Homo Sapien (6ft) using clay, wood, electrical motors and electrical devices, as per guidelines of Doctors and Teachers, on April 30, 2013. Homo Sapien is a working model of human body displaying blood circulation. Comments for TALLEST HOMO SAPIEN are now closed.